Designed to prevent treat and manage pressure ulcers in the home or long term care setting the Med-Aire Essential combination therapy mattress system provides both alternating pressure and low air loss to optimize pressure redistribution and manage skin maceration. The Med-Aire Essential incorporates a system of eighteen 8" deep individual bladders to maximize immersion and envelopment. 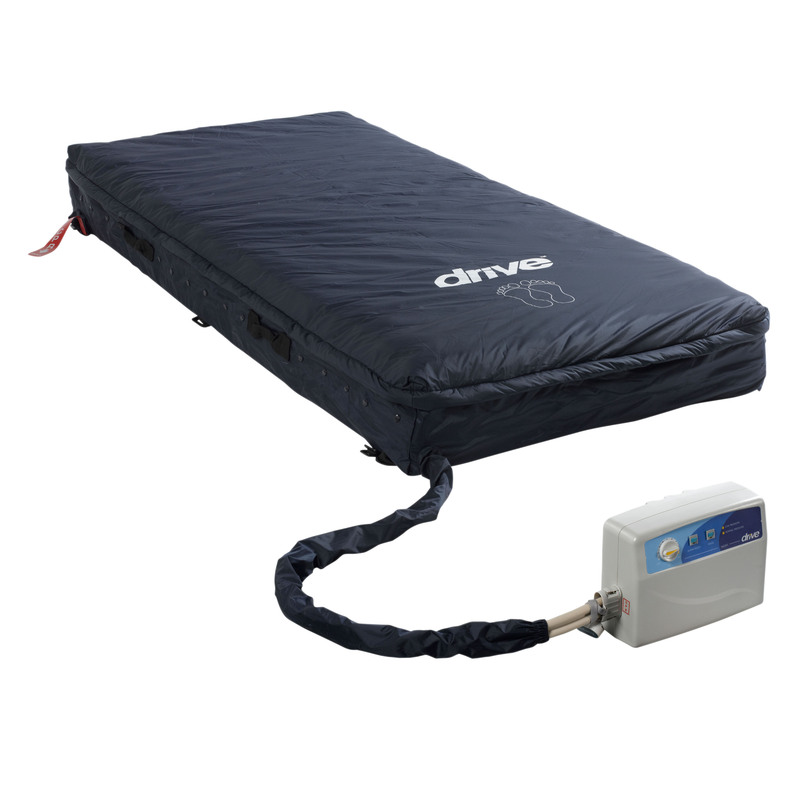 The pump offers a static feature as well as adjustable comfort settings by patient weight. The removable cover is quilted for comfort low shear anti-microbial water-resistant and vapor permeable. Plus a CPR valve allows for rapid deflation.